Starlight Investments, with Canadian pension funds Public Sector Pension Investment Board and Alberta Investment Management Corp., purchased the 465-unit community at 14310 Grant St.
A partnership formed to purchase $1.3 billion of Class A apartment properties across the United States made its first acquisition in Thornton with the Parkhouse Apartment Homes. Starlight Investments, a Toronto-based privately held, full-service real estate investment and asset management company, with Canadian pension funds Public Sector Pension Investment Board and Alberta Investment Management Corp., purchased the 465-unit community at 14310 Grant St.
LMC 144th and Grant LLC sold the garden-style community for $121.6 million, according to public records. “Aimco is pleased to enter the partnership and excited about the opportunity to expand our multifamily footprint to new markets,” added Micheal Dal Bello, senior vice president, real estate, of Aimco. “The partnership capitalizes on the synergies of our respective investment programs and creates a long-term platform to generate the returns required of our clients and stakeholders.” The partnership was formed to acquire recently constructed, garden-style communities in Atlanta; Austin and Dallas, Texas; Denver; Orlando and Tampa, Florida; and Phoenix. Specifically, the partnership will target submarkets that demonstrate superior rental income growth potential due to positive multifamily dynamics, including compelling population, and economic and employment growth. Holliday Fenoglio Fowler LP’s Jordan Robbins, Jeff Haag and Anna Stevens marketed the asset, currently finishing leaseup, on behalf of the seller and procured the buyer. 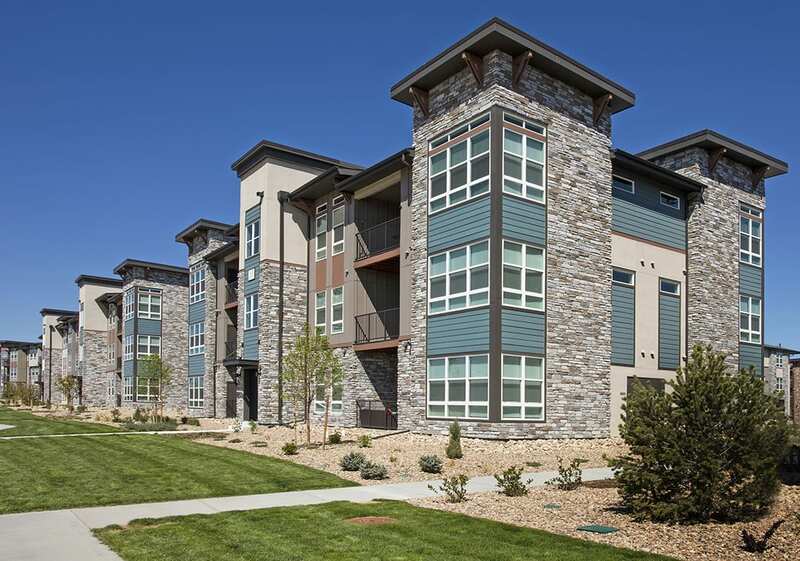 “It is one of the nicest suburban deals in all of Denver,” said Robbins, noting that the asset saw a ton of interest due to its location and its “over-the-top” amenities. Units, which average 914 square feet, include designer kitchens with islands, granite countertops, stainless steel appliances, 9- to 15-foot ceilings, hardwood-style flooring, full-size washers and dryers, spacious closets and private patios or balconies. The community also includes two resort-style pools with spas and cabanas, an outdoor kitchen with grills, a community garden, playground, two clubhouses and resident lounges, a game room, fully equipped business center, two fitness centers with cardio and yoga rooms, a dog park, dog wash, electric vehicle charging stations and a mile long paved walking trail. Parkhouse, situated on 24.2 acres, is located just east of 144th Avenue and Interstate 25, near a 320,000-sf upscale outlet mall currently under construction and an 857,000-sf Amazon distribution center.